Born: 18 May 1867, Glasgow, United Kingdom. Died: 14 August 1948, Edinburgh, United Kingdom. William Cullen, chemist and metallurgist, studied chemistry at Anderson's College (later the Technical Institute), Glasgow, from 1883 to 1885 and subsequently worked there as assistant to Professor Dittmar until 1890. During this period he also studied metallurgy and mining at the School of Mines in Freiberg, Germany. In 1890 he joined the Nobel Explosive Company, Glasgow. His first scientific paper, "Kynite, a new safety-explosive", was published in the Transactions of the Institution of Mining Engineers in 1898. In 1900 he became the company's manager (from 1901 general manager) at its dynamite factory at Modderfontein, some 18 km north of Johannesburg. In 1902 the company became the British South African Explosives Company, which at the time was the largest of its kind in the world. He stayed on as chemist and general works manager and played an active role in South African scientific life, contributing to a wide variety of topics, until his return to England in 1915. He remained a director of the company until 1924. Cullen became a member (and his wife an associate member) of the South African Association for the Advacement of science in 1903 and was elected to serve on its council the same year. At the association's first annual meeting in Cape Town that year he summarized and discussed the meteorological observations that had been made at Modderfontein since 1897 (Report, 1903, pp. 75-88). He also read a paper on the history, manufacture, and uses of nitroglycerine explosives (pp. 89-101). In 1904, when the association met in Johannesburg, he delivered a short paper on the chemical industries of the Transvaal Colony (Report, 1904, pp. 94-96). He served on the association's publication committee that year, and was joint honorary secretary of the association from 1904 to 1908. In the latter year, at the annual meeting in Grahamstown, he delivered papers on mine ventilation (Report, 1908, pp. 63-66), and on different forms of political representation (pp. 376-387). At the next year's meeting in Bloemfontein he delivered an evening lecture on the manufacture and use of explosives (Report, 1909, pp. 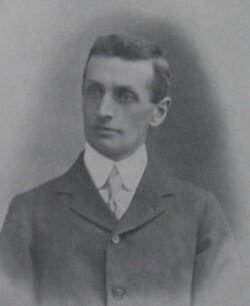 245-252), and was elected as one of the association's vice-presidents for 1909/10. He was still a member of council for 1912/13 and by 1918 was a life member of the association. In April 1909 he was a member of a deputation of four, including also Theodore Reunert*, sent by the association to the governor of the Transvaal Colony to recommend that a large telescope be bought for the Transvaal Observatory. As a result a 65 cm refractor was ordered from Howard Grubb of Dublin. Cullen's general contributions to science and society included his participation in the work of two government committees. One was the Commission on Weights and Measures, appointed in December 1905 under the chairmanship of R.T.A. Innes*. In its report and draft ordinance of 1906 it recommended the introduction of the metric system, but unfortunately also sanctioned the continued use of the British imperial system. The other was the Departmental Committee to enquire into the question of government laboratories, appointed on 28 February 1906. An important recommendation was that new and permanent veterinary bacteriological laboratories be built on a suitable site (for which Onderstepoort was later chosen). Unfortunately Cullen had to resign from the committee early in May because he was leaving for Europe. Much of Cullen's scientific activity was channeled through the Chemical, Metallurgical and Mining Society of South Africa. He joined the society in 1902 and read his first paper before it in August that year, dealing with "Residual products of the dynamite factory, and their value to the gold industry" (Proceedings, Vol. 3, pp. 83-75). His wide range of interests is demonstrated again in a paper on miner's phthisis that he delivered in February 1903 and which led to considerable discussion (Journal, Vol. 3, pp. 149-153, 170-178, 195-202, 211-213). Like most of his contemporaries he was not convinced that the disease was caused by dust, and considered the possible causal role of various gases. Other papers by him in the society's Journal dealt with "The manufacture of nitro-glycerine explosives" (1904); analysis of the gases resulting from the use of explosives (1908/9; and, with D.W. Greig*, 1909/10); the recovery of zinc from solutions of sulphate (with G.F. Ayers, 1909/10); "The world's glycerine supply" (1910/11); "The luminator purification treatment of water for steam boilers" (1911/12); and "Electric blasting" (with T. Donaldson and W. Waters, 1913/14). He served as joint vice-president of the society for 1904/5 and as president for 1905/6. In his presidential address he described how he had introduced a system of apprenticeship into the explosives industry, coupled with educational courses. The mining industry, spurred into action by his words, followed suit. Cullen was elected as one of the original Fellows of the Royal Society of South Africa when it was established in 1908. He was a member of the council of the Transvaal Technical Institute and its successors (which eventually became the University of the Witwatersrand), and was closely associated with various public movements in Johannesburg. Upon his return to England in 1915 he joined the Department of Explosives of the Ministery of Munitions for the duration of World War I (1914-1918). From 1919 he did consulting work, but retained an active interest in South African affairs and visited the country several times. For example, in 1920 he contributed a paper on "Coal mining by-products and oil shale in South Africa" to the South African Mining and Engineering Journal (Vol. 31, pp. 135-136). In 1924 the University of the Witwatersrand conferred an honorary Doctor of Laws degree on him for his services to the country. He visited again in 1934 to attend the fortieth anniversary of the Chemical, Metallurgical and Mining Society of South Africa, and presented an historical review of chemistry in South Africa during the years of his earlier stay in the country. The next year he was back again, addressing members on "Silicosis". The society elected him an honorary life member and honorary Vice-President, and in 1940 he was still a corresponding member of its council. In Britain Cullen served as president of the Institution of Mining and Metallurgy (1929-1930), the Institution of Chemical Engineers (1937-1939), and the Society of Chemical Industry (1941-1943). The William Cullen Library at the University of the Witwatersrand was named in his honour. Chemical, Metellurgical and Mining Society of South Africa. Proceedings, 1902-1903, Vol. 3. Chemical, Metallurgical and Mining Society of South Africa. Journal, 1903-1910, Vol. 3-10; 1911/12, Vol. 12; 1913/14, Vol. 14; 1934, Vol. 34(9); 1935, Vol. 35(9); 1940, Vol. 41(1); 1943, Vol. 43(11&12), p. 167; 1948, Vol. 49(2), p. 33, Obituary. Goode, R.C.J. 75th Anniversary of the South African Institute of Mining and Metallurgy. Journal of the South African Institute of Mining and Metallurgy, 1969, Vol. 69, pp. 510-541 (see p. 528). Obituary - Dr William Cullen. South African Science, 1949, Vol. 2, p. 158. National Automated Archival Information Retrieval System (NAAIRS). http://www.national.archives.gov.za/naairs.htm Documents relating to William Cullen / W. Cullen. Orr, J. Presidential address. Annual Proceedings of the Associated Scientific and Technical Societies of South Africa, 1938, pp. 15-86 (see p. 44). South African Association for the Advancement of Science. Report, 1903-1910, 1913, 1918. Transvaal Colony. Report of the Commission ... [on] weights and measures; and Draft ordinance to consolidate and amend the law relating to weights and measures. Pretoria: Government Printer, 1906. (National Archives, Pretoria, Vol. TKP265). Transvaal Colony. Report of the Departmental Committee... to enquire into the question of government laboratories, 1906. (National Archives, Pretoria, Vol. TKP196). Transvaal Observatory. Annual report of the Meteorological Department for the year ended 30th June 1909 (p. 6). Pretoria: Government Printer, 1910. (National Archives, Pretoria, Vol. TKP213).